Recently the top notch and well known Evolution Gaming, leading provider of Live Casino solutions, announced that it has signed a major agreement with lotoquebec.com to provide the provincial Crown corporation with Live Casino services from Evolution’s production studio in Vancouver. This will make Lotoquebec.com the second online game site operating out of Evolution’s Live Casino production studio in Vancouver, which opened in 2018. Since February, BCLC (British Columbia Lottery Corporation) has offered Live Casino to British Columbia and Manitoba, with Evolution the only regulated Live Casino provider in Canada. In its first move into Live Casino lotoquebec.com will offer its players six dedicated tables, five of which will be hosted by French speaking game presenters, as well as four existing tables. The service is expected to go live this month in 2019. Already this casino is offering over 25 table games including Blackjack, Roulette, Card games and Dice games. 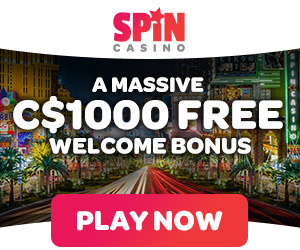 At Lotoquebec.com you can play Live Casino games even on desktop, tablet and smartphone, where the provincial Crown corporation already offers online casino games, poker, sportsbetting, lottery, bingo and XP Games. According to Sovanna Phan the online Product Manager at lotoquebec.com the launching of Casino en direct is innovative, and a great addition to what they already offer to players. He added that they have selected Evolution because they wanted a partner with the vision, innovation and capability to deliver localised, convergent solutions that will allow lotoquebec.com to deliver Live Casino in so many ways, to appeal to different players. Also James Stern, Evolution’s Chief Business Officer – America & Land-based, added that the services they will be providing to lotoquebec.com underlines the flexibility of their Vancouver studio and their vast experience in the provision of Live Casino solutions. As their track record in providing native speaking dealer solutions is a key factor, with lotoquebec.com’s French speaking presenter tables being a key USP when serving the province’s predominantly French speaking population. The news reports claim that the lotoquebec.com signing follows not only the BCLC agreement in Canada, but also a stream of new business wins for Evolution’s recently opened New Jersey production studio. Together these successes underline Evolution’s growing Canadian and American presence and an extension of the company’s dominance outside of its traditional stronghold in Europe. If you want to know more you can call the casino at 1 877 999-JEUX (5389) or write to them at onlinegames@lotoquebec.com or have a Live chat with their help team. Click here to join Lotoquebec now. ← Can card counting be useful when playing live Blackjack? What is Augmented Reality 360 Roulette from Extreme Live Gaming? October 15, 2018 Kamal Kaur Comments Off on What is Augmented Reality 360 Roulette from Extreme Live Gaming?